However, 86% of coal reserves & 55% of sown area lie in the parched North, which accounts for only 16% of water resources. 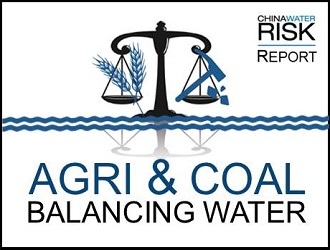 With food & energy likely to compete for water in the North, China is balancing & controlling water use between agriculture and its large coal bases to ensure food & energy security. 34% of China’s sown land are in Dry 11 regions. Henan, in particular, is both among China’s Top 4 farming provinces & Top 4 coal producers. China’s coal mines lie next to its farmlands. Can China save enough water in agriculture to fuel coal growth?